I’m excited to start sharing some looks from the 8 Days a Week collection! Our concept for this collection was patterns that would fill in all the gaps in your wardrobe. We wanted to make versatile patterns for the busy, modern woman (YOU and ME! ), that could be dressed up or down for any occasion. The Neptune Tee fills in a basic, the plain slouchy tee. This is a casual, easy tee. You just need one of those, you know? Maybe 10? I’ve been sewing a lot of these. I know I made the pattern, but it’s such a satisfying thing to sew, hah! (Am I even allowed to say that!?) I didn’t include the triangle cutouts for this one, but I will show you more photos with the triangle cutouts tomorrow! If you’re curious you can see more photos here! 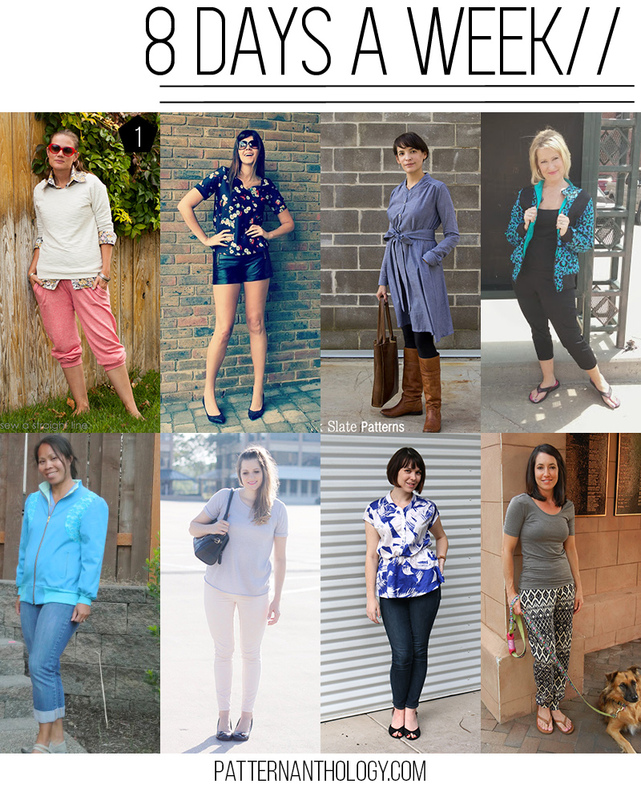 Today we have some bloggers sharing their favorite pieces from8 Days a Week! Check ’em out! aztec spring // project run and play all-stars week 1 lovely lilac camera bag + JO TOTES GIVEAWAY! serger giveaway!! win a Brother 1034D! sunglasses case tutorial with a pleather bow!